WASHINGTON D.C. (April 17, 2014) - The fighters, including legendary future Hall of Famer Bernard "The Alien" Hopkins and Beibut Shumenov, who will compete on Saturday's eagerly awaited "History at the Capitol" world championship tripleheader on SHOWTIME®, participated in the final press conference Thursday at The Hamilton Live in Washington, D.C. In the history-making main event on SHOWTIME CHAMPIONSHIP BOXING® (9 p.m. ET/PT following the premiere of Episode 1 of ALL ACCESS: Mayweather vs. Maidana) the 49-year-old Hopkins (54-6-2, 32 KOs), of Philadelphia, will be seeking to become the oldest fighter in boxing history to unify world titles when he puts his IBF Light Heavyweight title on the line against his WBA counterpart, Shumenov (14-1, 9 KOs), of Shymkent, Kazakhstan, who is aiming to become the fastest fighter to unify the light heavyweight division with only 15 professional fights. The two other world title fights on SHOWTIME -- unbeaten IBF Welterweight World Champion Shawn Porter (23-0-1), ofCleveland, defends against former world champion Paulie Malignaggi (33-5, 7 KOs), of Brooklyn, N.Y. and unbeaten WBO Middleweight World Champion Peter Quillin (30-0, 22 KOs), of Brooklyn, risks his belt against the Czech Republic's Lukas Konecny (50-4, 23 KOs). 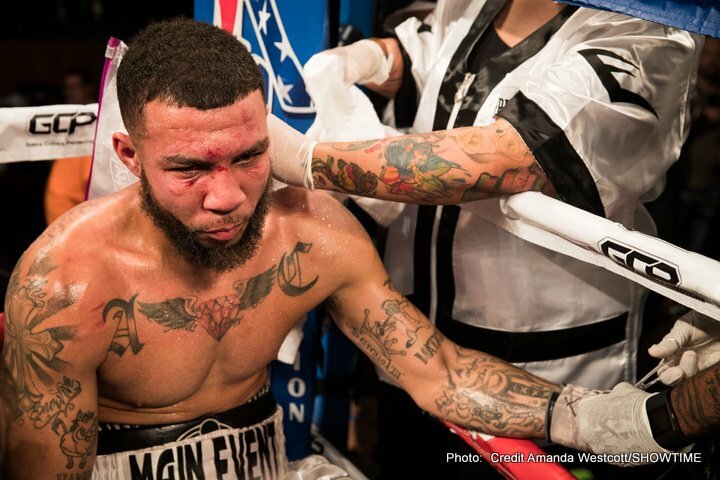 Three live preliminary fights will precede the SHOWTIME telecast on SHOWTIME EXTREME®(7 p.m. ET/PT): Sadam Ali (18-0, 11 KOs), Brooklyn, vs. Michael Clark (44-9-1, 18 KOs ) Columbus, OH., 10 rounds, welterweights; Zachary Ochoa (6-0, 3 KOs), Brooklyn, vs. Hector Marengo (6-7-4, 4 KOs), Arecibo, Puerto Rico, 4/6 rounds, junior welterweights; and Marcus Browne (9-0, 7 KOs), Staten Island, N.Y., vs. Otis Griffin, 24-15-2 (10 KOs) Sacramento, Calif., 8 rounds, light heavyweights. Tickets priced at $25, $50, $75, $200 and $300, plus applicable taxes, fees and services charges, are on sale now and available online at http://www.ticketmaster.com, all Ticketmaster locations or by calling (800) 745-3000. The DC Armory Box Office will be open on fight night only from 3 p.m.-10 p.m. ET. Hopkins was honored twice during the final press conference. At the outset of the proceedings, Golden Boy Promotions CEO Richard Schaefer presented him with a National Portrait Gallery portrait donated by Golden Boy Promotions and shot by renowned sports photographer Holger Keifel. It will become part of Smithsonian's National Portrait Gallery permanent collection and is projected to appear in the museum within the next two to three years and will likely be on display for six months or longer. Later, Marvis Frazier, the former boxer and son of the late, great former heavyweight champion Joe Frazier, presented a plaque to Hopkins and Golden Boy Promotions in appreciation for their contribution to the Joe Frazier Statue in Philadelphia. "This is really a defense of my legacy. Belts are nice, but they're nicer when you're younger and establishing a foundation. My foundation was laid down years ago. You get what you put in most of the time and then you get the times where you have to fight for what you want. "This is an opportunity for me to represent the 40 and up club that is very alive in the world. Boxing and non-boxing fans are supporting me. I go and train understanding that it's not just for me, but for you all to enjoy what is taking place while it is taking place. "Sometimes we take personal achievements for granted. We don't appreciate it until you get treated the opposite way. "Come April 19, you will be inspired by me. The work I've put in all these years has already been set. Now I'm here to let you know how I feel. "The best in Beibut will bring out the best in me. I want him to try to win every round. I want him to do this because if he doesn't do this, you won't see the best of me. I'll do what I do regardless, but I don't want to look like the worst word in America, a bully. "He's motivated to fight me, he said he's been dreaming of this all his life. Understand one thing, be careful what you wish for. "Get ready for school, student. No disrespect, its logic. I am the professor with a PHd. I'm going to take his GED learning that you need more than that to make a living. "After this is over with, let's pray he has the career going forward. I have a track record. There's a whole list of names that didn't survive the mental beat down. "When you watch Saturday you're going to watch something you've seen over and over. I can't help if you all get bored. You're going to have to write the story. 20plus year legacy, is more important than anything around my waist." "[To Hopkins] You're mistaken if you think going into this as if I'm fighting a 50-year-old man. On Saturday night we are going to see who is taking whose belts. "It's not for me about money. I'm fighting for the honor and the glory to be acknowledged as a great fighter. I'm not thinking about future fights. I prepared for this fight like it's my last. I'm a man of my word, so you're going to see a great fight Saturday night. "I want to fight the best and I am fighting the best. "I've been dreaming all of my life for this moment. I've been ready to fight at this level for several years. I couldn't get there on my own. This is a good opportunity for me. "Hard work and preparation has been done. I am fighting one of the greatest ever, who beat so many other legends and great fighters. "I am ready to show the world what I'm capable of. I will show the world that I am the best light heavyweight champion." "We could have taken any challenger, we could have taken a lesser opponent, and we could have fought two more months from now...but that's not the Porter way. "We work hard and we have high expectations. At Team Porter we challenge ourselves. We talk day in and day out about the game plan. We send footage and notes to one and other every single day. We diet together. I lost a lot of weight for this fight, and I feel really good right now. "My dad's doing the exact same things I'm doing, eating the same stuff, working the same way I do. We work hard and we're blessed. We understand what position we're in today and what position we're going to be in when I get in the ring with Paulie Malignaggi. "We're in a privileged position - we have a world championship belt. We're going to defend it with honor and everything we have. We know what Paulie is bringing to the ring. This is going to be a great, exciting fight." "I'm very happy with the team I have around me, they've allowed me to excel. I can just focus on boxing with no other headaches. "Shawn Porter is a world champion who still has that hungry attitude. That makes it all the more difficult of a challenge. Fighting a guy like that becomes not only a game of skill, but a game of will. "I think I've proven through the years that I have a lot of both and Shawn is proving he has both as well and that makes it a very intriguing matchup. "The winner will be very deserving at the end of the day. I feel like I'm the more talented fighter not that Shawn isn't talented. I feel what I have in my back pocket is more than what he has. We'll see Saturday if he's ready." "It's an important thing for me to be here in front of you guys. I just hope I can keep doing this same thing over and over again. "I'm going to defend my title with so much pride. There's no ego, just pride, hard work, determination and sacrifice. It's what got me here and it's the most important part of boxing to me. "I may not have much control outside of the ring, but when I'm in the ring I can create and do what I want. I'm inspiring people to be happy with themselves. "Bernard set the bar so high and I just want to set it even higher. "The only part of this card that's going to be hard is watching my brothers Paulie and Shawn fight. May the best man win. When the opportunity comes you have to capitalize on it. "I'm thankful for this opportunity to fight in D.C. I'm so inspired to be here I think my name is going to be the 'Capital Kid.' "
"I expect a hard fight, but a fair fight. I want to win and I have the most experience. 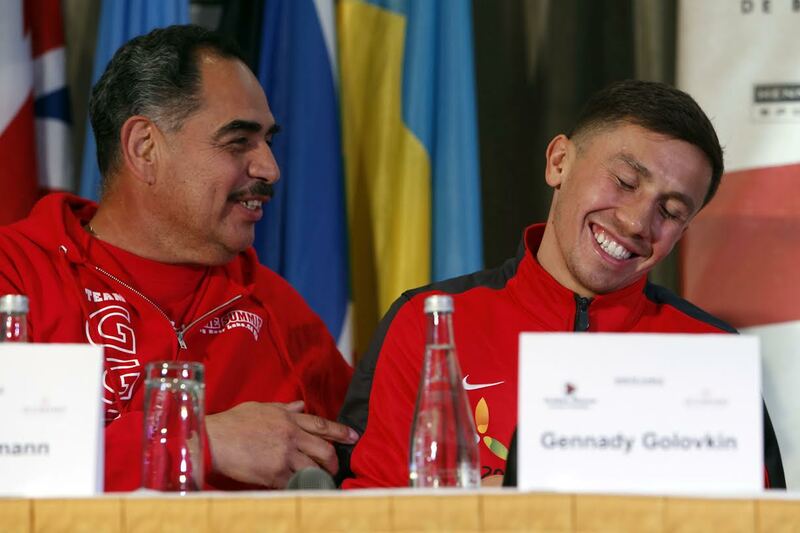 "I think it should be a good confrontation between the European and the U.S. boxing style. Hopefully the best one will win and it will be me." "I've seen a lot of these young guys as they grew up. I've known Shawn Porter so long I remember when his father was fighting. Seeing all these guys up in this position is great and needs to be paid attention to. "This guy, Bernard Hopkins, you've said everything you could say about him. We just hope you guys appreciate it. This guy has been fighting all the way through. "Bernard teaches me all the time. I want people to understand when they see Bernard that you're not seeing the microwave era of boxing. You have to appreciate it, the sweet science of boxing. These guys on the undercard are lucky because they get to see it. "I want people to acknowledge that we're dealing with a special athlete in Bernard. Thirty is old in boxing, guys still perform at 30 but it's old. So what he's doing is ridiculous. "Everything he does is history. Every bag he hits is a part of history. Because what he's doing has never been done. Bernard is the oldest athlete to hold a title in any sport. "Bernard now carries Joe Frazier's spirit in Philadelphia. It's not the same style but it's the same mentality. He never says die and never surrenders." "Bernard Hopkins is a true humanitarian. My father passed away in the midst of people putting together a statue for him. No one would come to the table; Golden Boy and Bernard Hopkins said they would build the statue for my father. 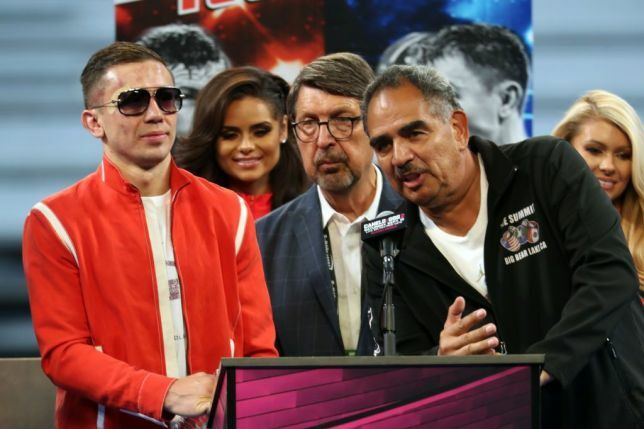 "I love this guy, he's a great brother and on behalf of the Frazier family I want to thank you and Golden Boy Promotions for what they have done and are about to do." "Now is your chance. Here in Washington and the East Coast, people from Philly, New York and Washington come here to be part of this historic event. "With Beibut Shumenov, Bernard's fighting somebody who as a pro has a record with 14 wins, 9 by KO. Beibut is from Kazakhstan, and he has a rich amateur history. He was a 2004 Olympian for Kazakhstan. He has been waiting for an opportunity like this. He is as dedicated as any fighter I have ever seen. He has tremendous will and desire. He has a tremendous and loyal team behind him. He's trained hard and is ready to go and make history here in Washington, D.C.
"Paulie is one of the most recognized fighters in the world. He's a two-time, two-division world champion who is trying to win his third world title on Saturday night. 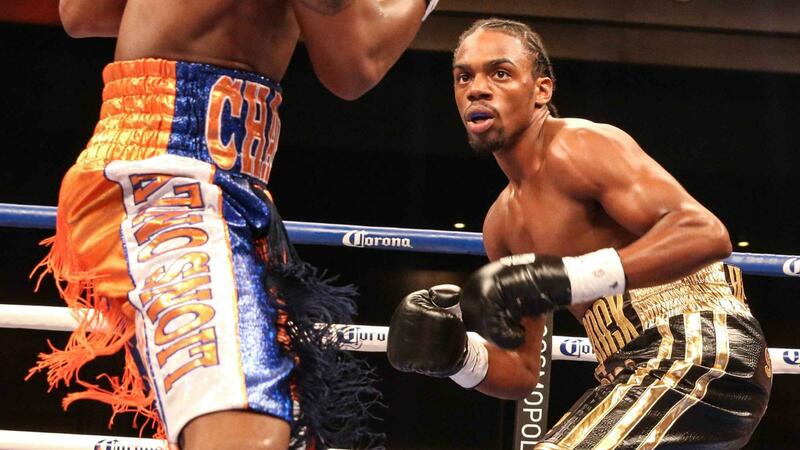 "Shawn Porter wants to face a veteran and the welterweight division is without any question the hottest division. Shawn Porter was one of the best amateur boxers of this era and established himself as one of the most exciting, young emerging stars of the sport. "I've been in boxing since 2000. Of all the fighters there's one that stands out when it comes to loyalty and when it comes to respect and Bernard tells me that it's because of the respect I show him. He is one of a kind in many ways. He is a true friend." 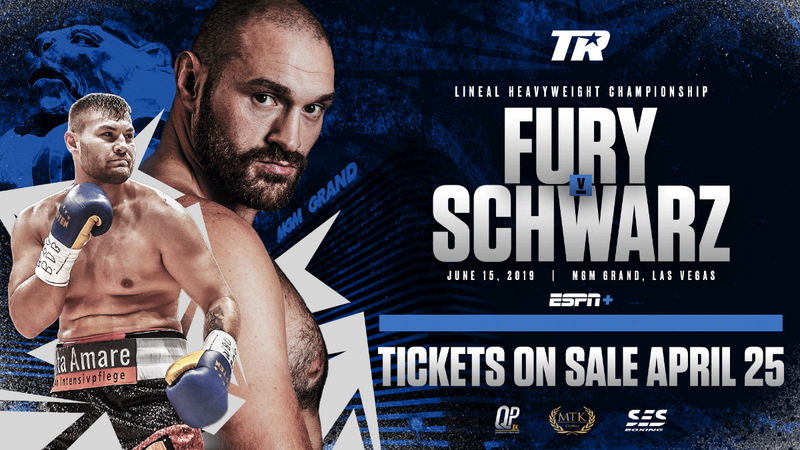 "This fight Saturday night on SHOWTIME is part of a tremendous lineup of boxing programming on our network that features no less than 19 live prizefights over the next three weeks. Saturday's SHOWTIME CHAMPIONSHIP BOXING telecast will be preceded by the premiere of All Access: Mayweather vs. Maidana. And the live show will feature a special guest analyst. 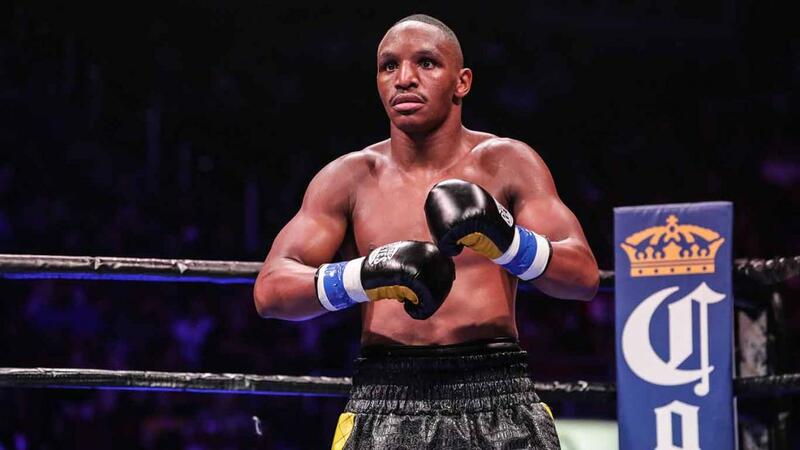 Middleweight contender Daniel Jacobs will be substituting for Paulie Malignaggi who will be indisposed. "Last January, when we had a fight card here at the DC Armory, I reported record ratings and record viewership growth for Showtime Boxing. I am proud to say that the trend continues and we are looking for strong performances in the next three weeks. Thank you for your support." "We consider ourselves very fortunate to be able to host such a fantastic fight card. As a fight fan, I'm excited about what we're going to see on Saturday. But as a person who's responsible for making D.C. more of a fight and sports town, I'm really excited that Golden Boy Promotions and SHOWTIME and Bernard, in particular, have decided to come back to Washington. "For those of you who don't know, this will be the third championship fight in 14 months that we've hosted in the DC Armory, which is a fantastic thing. And frankly, we should give it up to Golden Boy Promotions for that. D.C. is a good sports town, but we want to make certain that people know it's a fight town as well. "I will echo Scottie Irving's [D.C. Boxing Commissioner] comments that we want to sell this fight out. And every fight that comes to Washington, we want to show that we're a great fight town. There's a lot of energy and buzz around this city, and there has been ever since this fight was announced. 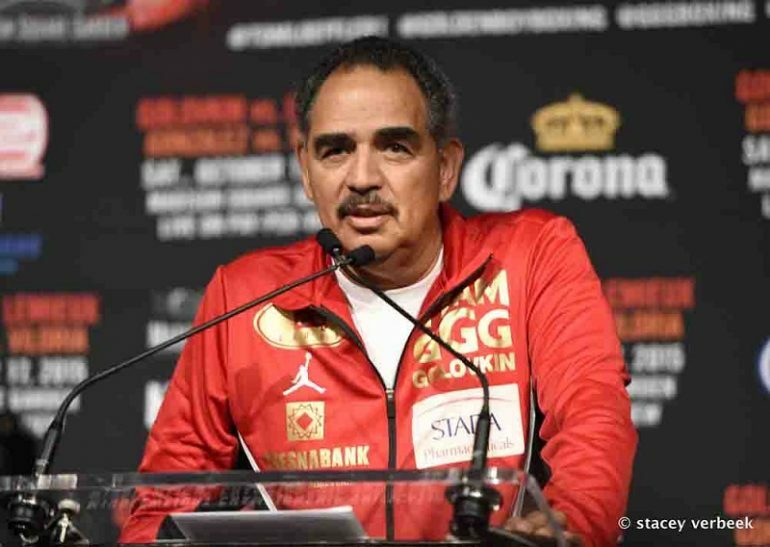 "We want Golden Boy Promotions to come back many more times and bring many more fights to Washington, D.C. as we continue to show them what we can do to support this fantastic sport. "We're honored to have Bernard and Mr. Shumenov here having their fight, as well as Paulie and the other combatants who are going to be here. "This is going to be history in the making. To see someone like Bernard, who's been fighting as long as he has, and at his age, do what he's trying to do in our nation's capital has all the makings of a fantastic story." "I said it before, that Bernard is a man of his word. Not only did he go out and find the best fighter that he could to fight in D.C., he offered to do it himself, and to come fight here. "If you miss this one I'll do my best to make sure Golden Boy is back this summer, and next time at the Verizon Center. We look forward to our continued success in boxing."